A. The home of Sookie Stackhouse. A. 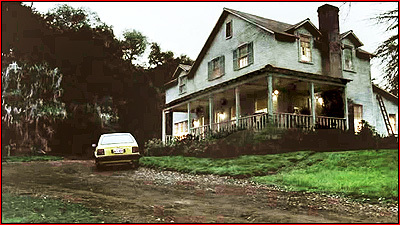 The house is a recurring location, seen in most episodes. But we get a particularly good look at the exterior in the first few episodes of the first season. In the very first episode, we catch our first glimpse of the front porch during a dream sequence, in which Sookie comes out of the house at night for an imaginary rendezvous with Bill. Our first look at the full house comes a little later in that first episode, during the daytime, when Sookie is sunning herself outside, and Jason shows up to yell at Sookie about her fight with the Rattrays. 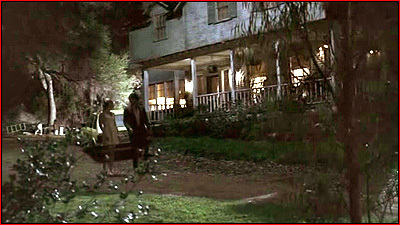 And we see the exterior again, in the second episode, when she and Bill go for a night time stroll outside, past the nearby graveyard, during Bill's first real visit to the house. A. A house built by the studio. A. 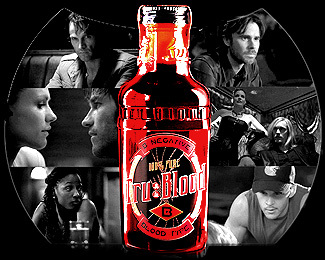 The house is part of a larger True Blood outdoor set that includes the graveyard and the front of Bill's house, on a plot of land south of Calabasas. But it's not at the studio. The building/set is located just east of Las Virgenes Road, in the Agoura Hills/Malibu area. 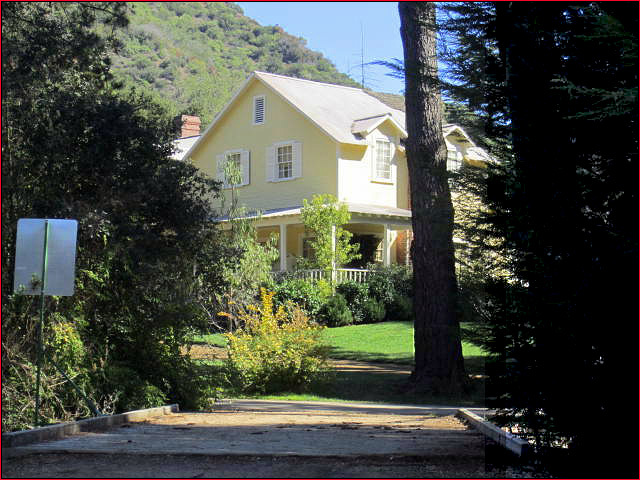 It's nestled among evergreen trees, near the end of a private/gated road called Las Virgenes Canyon Road. 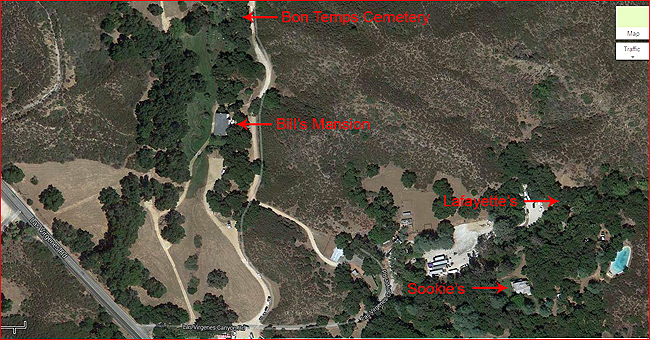 Google StreetView puts the west entrance to that private road at approximately 1199 Las Virgenes Road. 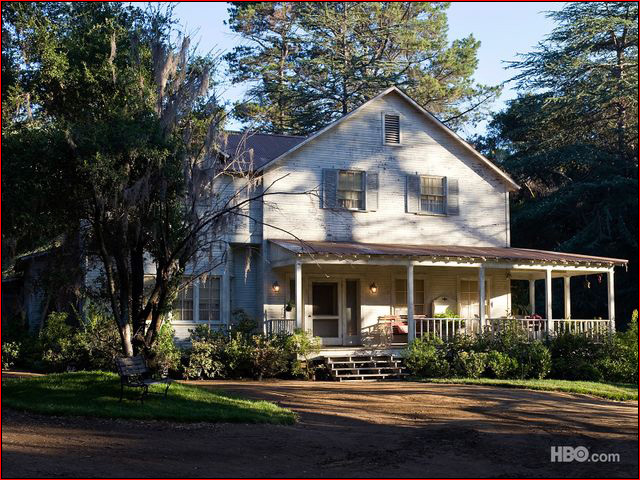 It's about four miles southeast of the old Paramount Ranch., and not far from where they filmed "M*A*S*H". Unlike many studio houses, which are just false fronts with no backs, Sookie's house appears to be a full house: front, back and sides. Very good work on the show's part! If I didn't know better, from the aerial view I'd assume it was an actual house that had been there for years. 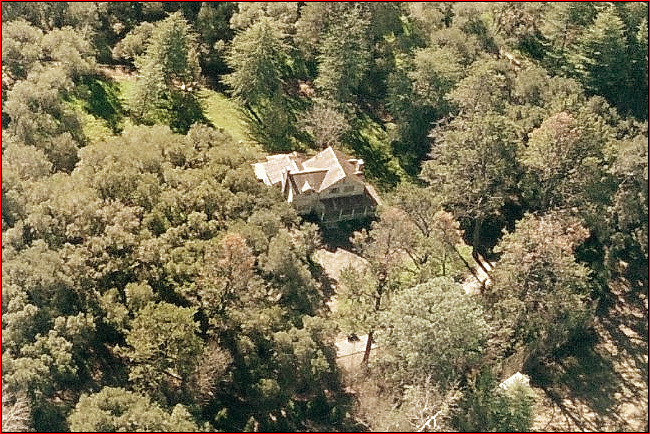 Here is an aerial photo of the house (look south). And here is a map link. A. I had heard many times that they built the set near Calabasas, somewhere off Las Virgenes Road. But that is a very long road, and the property on both sides tends to be wooded, making finding something there (via aerial photos) difficult. When the show first came on, I spent a long time searching Bing & Google's photos for the location, only to come up empty. But in retrospect, that was probably because the photos I was looking at then were taken before the house/set was built on that spot. But in January of 2011, I decided to try searching again, in hopes that the house might appear on an updated photo. I concentrated my search on the evergreen trees seen behind the house on the show. And when I spotted this particular grove of green trees, east of Las Virgenes Road, I took a closer look. And sure enough, there was the house. It wasn't really recognizable from the usual northern map direction, but when I rotated the map and looked south, the front of the house became visible, and (as you can see above) it was a perfect match for the screenshots.